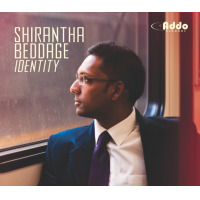 JUNO-nominated musician Shirantha Beddage is a saxophonist, composer and educator from Toronto, Canada. Drawing inspiration from jazz greats such as John Coltrane, Pepper Adams and Thelonious Monk, he is being hailed by critics as a fresh and powerful voice on the baritone saxophone. Shirantha is an active performer and recording artist, both as a leader and a sideman. His latest CD, Identity (Addo Records, 2012), was nominated for Traditional Jazz Album of the Year at the 2013 JUNO Awards. 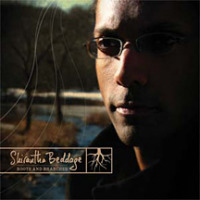 Shirantha’s debut album, Roots and Branches, was released internationally by Jazz Excursion Records in 2007. 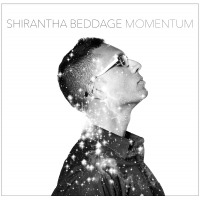 His upcoming album, Momentum, featuring drummer Will Kennedy of the Yellowjackets, is due for release in 2016. In addition to his own groups, Shirantha currently performs and records with the Nancy Walker Quintet, the Mike Downes Parallel Streams Ensemble and Bruce Cassidy’s Hotfoot Orchestra. His musical compositions have been featured by numerous ensembles across Canada and the United States, ranging from small group to big band. His compositions have earned him accolades such as the 2013 Galaxie Rising Star Award at the Montreal Jazz Festival, and the Raymond and Maxine Schumer Award in Jazz Composition at the Eastman School of Music. He has also written commercially for film and television; in 2014, he composed and performed original jazz quintet music for the Emmy-nominated FX original series “Fargo”, starring Billy Bob Thornton and Martin Freeman. Shirantha currently serves as Head of Theory and Harmony in the Humber College Music department, where he teaches courses in Music Theory, Pedagogy, and Ensemble. Shirantha was previously Director of Jazz Studies at the Columbus State University Schwob School of Music (Columbus, Georgia, USA). He also adjudicates regularly at festivals throughout the country including MusicFest Canada, where he serves as Vice-Chairman of Instrumental Jazz. He holds a Doctor of Musical Arts degree (D.M.A.) in Jazz Studies from the Eastman School of Music (New York, USA), a Master of Music degree in Jazz Studies from William Paterson University (New Jersey, USA), and a Bachelor of Music degree from Humber College. Shirantha is a Yamaha saxophone artist and performs on the YBS-62. Shirantha Beddage is available for private lessons, either in person or via online applications such as Skype or Facetime. Areas of instruction include saxophone, piano, improvisation, ear training, theory and composition. Lesson fees are payable through cheque or via Paypal. Shirantha is available for clinics and workshops on a variety of subjects. He is an experienced adjudicator, having worked with numerous jazz ensembles at the high school, middle school and college level in the United States and Canada. He has also worked extensively as a clinician with educators, through interactive workshops at educational conferences. Areas of instruction include small group and large ensemble pedagogy, improvisation and ear training. Rates vary; contact Shirantha for more details. All About Jazz musician pages are maintained by musicians, publicists and trusted members like you. Interested? Tell us why you would like to improve the Shirantha Beddage musician page.